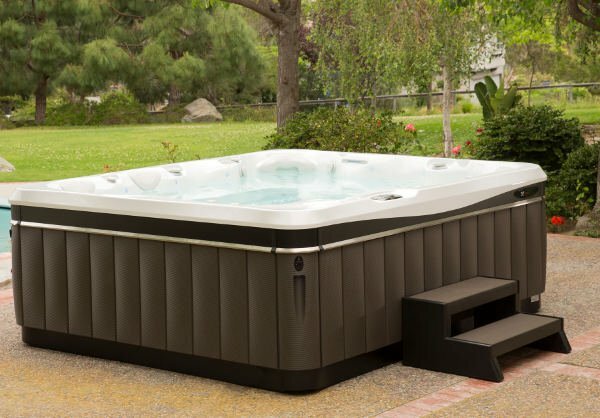 Could you comment on Divine Brand hot tubs sold by Costco? I do not know who makes the Divine Spas but they do kind of look like a Clearwater Spa, so maybe that is who makes them for Costco? I would strongly advise you to find a local hot tub dealer in your area as you will have a much better hot tub experience that way. Costco does not do complete delivery (just curbside I believe) or offer service after the sale which is very important. Look for a dealer that has been in business a while and sells a spa brand that has also been around a while. They don’t necessarily have to sell one of the brands above but make sure it is a brand that has been in business at least 15 years and you can find information on. 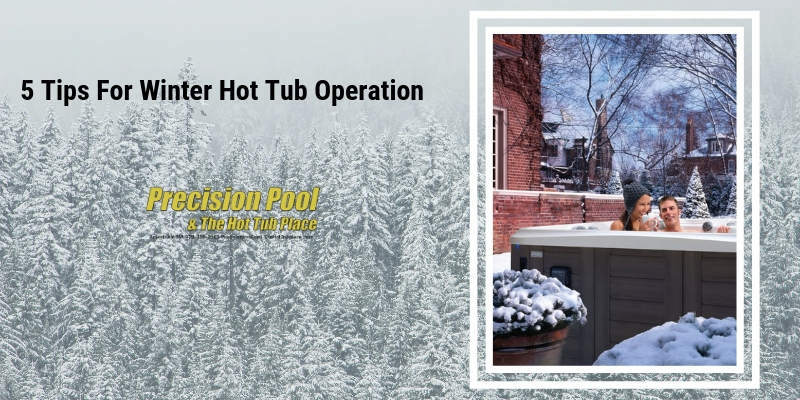 Hot tubs like any appliance are complicated machines and if you do have issues its good to have an experienced professional ho tub dealer to back you up. I would highly recommend visiting a couple of pool and spa forums and asking questions. 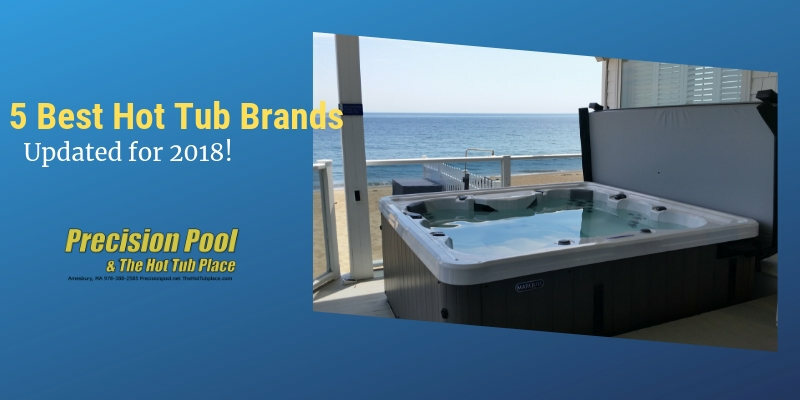 Check out http://poolspaforum.com and http://whatsthebest-hottub.com/forum/ they have a lot of great insight on different manufacturers and types of spas. I know they are an online brand but that is about it. On the poolspaforum.com and other like forums they don’t get the best rep. I would not recommend buying any spa that you are not buying from a local dealer. You need someone that can support the product. Also, the brands that are sold by pool and spa dealers are usually top class. So while I don’t have first hadn knowledge of Dr. Wellness spas I would recommend not buying online. Plus you won’t get a complete deliver, it will mostly be curbside. Great comments above and I wish I had read them 2 years ago. I bought a Divine hot tub in 2014 from Costco and have regretted it ever since. Poor quality craftsmanship and over all product. I had a Cal spa for 15 years which was simple durable and well made. At the urging of my teenage kids went to a Fancy 100 plus Jet system from divine and have regretted it everyday. I do not recommend buying such items from Costco. We love Costco and do a majority our of shopping there but not longer items like hot tubs. A local dealer is the way to go. Both brands have been around for a long time, Hot Springs is made by Watkins which is the largest manufacturer in the world. I am not a huge fan of Artctics insulation system, I do not believe it can match up to full foam. Also with full foam you give the heavy plumbing more structural support so it is very unlikely to get leaks from bad glue joints and such. Not saying Arctic is a bad spa, it is not just saying there are things that Watkins does with their Hot Springs and Caldera Spas that make is a better option. Do you know anything about Starlight hot tubs? I see a 7 person, 115 jet one on Wayfair and other online retailers. I am also looking at the Divine one from Costco (Looks very similar to the Stralight one – 7 person – 115 jets). Thank you. I do not. However I will say with all the options available to you I would HIGHLY recommend buying from your local hot tub dealers. You want to buy a brand that is trusted and been around for a while so you know 5 10 15 years down the road you can still get service. Also your dealer will give you a lot of things you can’t get from Costco or online. Delivery right to your spot, setup of your spa, installing things like cover lifters and straps. Also when something goes wrong you have someone to call. Wayfair is not going to be able to help. Brands like Hot Springs, Caldera, Marquis, Bullfrog all have lines that are priced very competitively. Even if you go into the rotomold 110v spas, which I LOVE. Look for a local dealer who sells Freeflow, Fantasy, Nordic, or Dreamaker spas. All are great brands backed by excellent companies and are sold by independent professional spa dealers that know their stuff. Some of those rotomold brands I mentioned have spas that start at $2495! So I would say buy based one, size, layout, and budget….but always by a hot tub from a local dealer. Thanks Jay. I found out they are both made by Clearwater Springs, but not same warranty as the ones they sell through dealers. Both are great brands, in fact both are the same company as Jacuzzi bought Sundance a few years back. Although make sure you are comparing like models and series to each other. $7000 for one and $9500 for the other seems like you are not comparing apples to apples as far as each brannds series. For example in Jacuzzi you have the J series that start at j200 series and go to j400 series. And Sundance has the 680 series up to the 980 series. In this scenario you wouldn’t compare the Jacuzzi j400 series to a Sundance 780 series. As they are 2 different levels of spa. What you want to look for when comparing series to eachother is the length of the component warranty (usually tops out at 5 years on top of the line spas), as well as other components like, circ pumps, built in sanitation (ozone uz, mineral, ect.) and the overall fit and finish of a spa. I purchased a Tuff Spa TT 250 from a company in Arizona, are you familiar with with this co/ model? I have heard of them yes. THey are a rotomold spa brand. Have not seen them in person however. Any suggestions on Bullfrog or Hot Springs? I have narrowed it down to the 2 but heard Hot Springs is made in Mexico so not sure that affects anything. Also heard Hot Springs does not have any Leak Warranty. Just your thoughts, thanks so much. Oh, both are local dealers, one an independent who sells the Hot Springs and the other has 2 locations and they sell the Bullfrog. I actually used to sell the Bullfrog Spas and I really liked them they are well built. The jetpack system is cool in concept but in my experience people didn’t really mess around and switch them around the spa very much. And buying additional packs is VERY expensive. From a service point of view having a bulk (not all) of the plumbing inside the spa is nice. However in regards to traditionally plumbed spas like Hot Springs I have not seen a glue joint or plumbing leak just happen for no reason. It is SO very rare that a full foam spa develops a leaks outside of the tub freezing and cracking a pipe due to ice damage. So I would not let that really factor into your decision. I like both brands a lot, I will say the Watkins Factory in mexico is one of the nicest cleanest manufacturing operations you will see out there, and they just did a bunch of improvements to not only the facility but with the staff. It is quite the operation. My advice would be, find the layout the works best for you, and the dealer you feel the most comfortable with. Your relationship is not going to be with Bullfrog or Hot Springs it is going to be with that local shop you buy it from so that is the most important part of the decision. We are looking at a ThermoSpa, 5 person. It has Jacuzzi pumps. Has removable side panels that make it easier to work on. We live in Arkansas n don’t have terribly cold weather. We have been told around $12 thou. Then they called today n offered 10 thou if we accept a color they already have. Opinion? I am not a huge fan of Thermospas to be honest, before they were bought out by Jacuzzi they were based up here in New England, and a lot of people got burned by their sales tactics. For me it always comes down to this; No Local Dealer = No Local Support and that is very important. Also Thermospas uses old shell molds and are way over jetted, they actually charge more for more jets which actually makes the spa less powerful because it is diluting the power. And the jets they do use are all what I call bullet hole jets, no adjustment at all. I hate to be the guy who bashes competitors but for that kind of money there are so many better choices than a Thermospa. What are your thoughts on master spas? I am thinking of purchasing a plug ‘n play spa as I eventually in several years want to put in a built in pool and spa so I don’t want to spend a fortune on a temporary spa. I would also like to keep my costs down which it seems the plug in will do. Would you recommend it and if so what brand and or model would you suggest? Hi Gail, you are the perfect candidate for a rotomold plug and play. 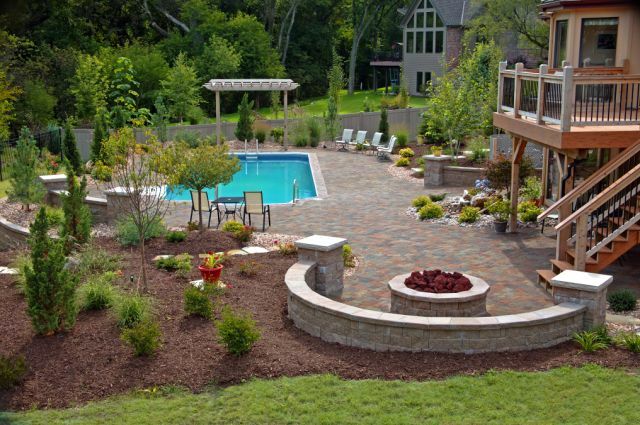 They are light and easy to move when you start doing your pool project as well as being able to plug into any outlet. They are simple, built to last and backed by a great company. I would go to Freeflowspas.com and search for your local dealer. Sorry for the delay Nick. I don’t think they are a bad spa, I just don’t like the way they choose to sell them with those traveling road shows of high pressure national sales teams. They rent out big civic centers and dump 70 spas into the local market with no dealer support. I would say the product is decent, I think you can find better fit and finish and performance at the same price point, but my problem is more about how they sell them. Hi Jay, thank you so much for answering all these great questions. I am totally overwhelmed with what is out there. We live in the Midwest and Winters can be brutal. I like the Hotspings spas with the Ace salt water system, any feedback on these? Also Bahama Spas and L.A. Spas are in consideration. All from local dealers. They are all almost double the price than comparable Divine or Evolution spas at Costco, and they are fully loaded. I am aware of your thoughts about buying at a local dealer. Just trying to figure out if justifying almost double the price is worth it. Thank you, Jay! The Hot Springs with ACE is probably the most expensive hot tub in the industry. I would take the $2,500 the ACE system costs and put that towards a better spa. Maybe instead of looking at the Highlife Collection on Limelight from Hot Springs, take a look at their Hot Spot line. I sell Caldera and their Vacanza series are the same spas as teh Hot Spots (same manufacturer), these are great fully insulated spas, very roomy seating and top of the line equipment. I don’t know Bahama Spas and have had only limited experience with LA Spas. I would much rather see you sacrifice a few bells and whistles and get a spa from a top manufacturer than get a Costco Spa. The manufacturers have to cut lots of corners with insulation (it may say full foam but it does NOT fill the whole cabinet, not even close). The use cheaper pumps and pc boards, ect. It may look similar on paper but under the hood it is a much different story. Below are some value and entry level lines from top brands I would recommend looking at that might fit better in your price point. Or how about a rotomold spa like Freeflow? They are made by Watkins as well, same company as Caldera and Hot Spring. This is an industry where the quality difference in how things are put together varies wildly and there is a HUGE drop off after the top 10 or so brands and an even bigger dropoff with online or big box. Plus hot tubs are a complex piece of equipment, it will need service at some point, and you will want someone in your corner to help you when something happens. I hope I haven’t made a huge mistake as I went to a Hot tub sale here in San Antonio. I just purchased from Primo hot tubs and swim spas. Their Twilight Series TS 87.3 Energy Efficient. The brochure says its made in the USA by Master Spas. Primo is located in the San Antonio Metro Area. They claim it is minimal maintenance and care due to their EcoPur Charge Master Core Technology and Mast3rPur Water Management System. It has the Master Force Bio-Magnetic Therapy System. This one has Warranty is 10/5/3. Can you tell me anything about this company or their Twilight Series? Thank you for all that you do and for your support. What are your thoughts on the Nordic and Tropic Spa hot tubs? Those are technically Freeflow spas just with cheaper components and less insulation. I would recommend finding your local Freeflow dealer as you will get the same spa with better components for not much more and then actually have dealer support to back up the product. Sorry for the delay on this one. Love nordic spas, great molds, good components and a good price point. Not thrilled about their plywood bases, I wish they would use a plastic sheeting or something. But otherwise I really like Nordic. Can not comment on Tropic as I have not seen them in person. Just make sure you by from a local brick and mortar so you have dealer support after the sale. Have a local dealer here in Cincinnati that has been around for a long time and have worked with him. Having to finally get rid of my Hawkeye Riviera after 17 years. All he sells is the Mira line of spas…They seem to have good features and parts,ie, Balboa, Waterway, and full foam insulation. Warranty is not a long as others. Hi, Jay, you’re probably getting tired of people asking you constantly which one is better, but I’m having a hard time deciding here, so hopefully you can help. I see that you lean pretty heavily on Caldera spas, and I’m looking at this Caldera Vanto model but also looking at the Costco Aquaterra Spas Ventura or Fairfax models. The Aquaterras have many more jets (80-96) and a speaker system, versus the Caldera that has no speaker system and only 35 jets. The Aquaterras are going for $6k-$6500 and I’m getting the Caldera for $6140 out the door including backyard delivery, GFI panel, cover, covermate, step and chemicals. So, there’s definitely value in both deals, but I’m just wondering if the quality of the Caldera is that much better that it’s worth giving up those extras in the Aquaterra. What about aquarest? Does an ozonator help to reduce skin rash. Ask them, who will service it if anything goes wrong? Pretty sure Costco does not employ experienced hot tub service techs. Also, number of jets is a BAD way to compare spas. I can pop 100 holes in the shell, that does not mean they are optimized to deliver the right amount of flow. In fact in that spa that many jets tells me it is going to be very weak flow as it is devided up too much. Look, there is a reason that non and I mean NON of the top spa manufactures on the planet have spas with 85 jets in them. Why is that??? Because it is about delivering the best massage possible whithout using a ton of energy to do it. If you had 85 jets , in order to match the power you get our of the 35 jets in the Marino o Vanto whichever you are looking at, you would need to have pumps that are double the horse power! DOUBLE!!!! That means double the KW/h . Also those 85 jets are what we call bullet hole jets, no adjust-ability at all. I don’t know how many times I can say it – Buy a spa online or big box you are asking for trouble. THese are complex appliances, that take experienced professionals to diagnose and repair. Unless you see this as a toy and you don’t care if it only lasts 3 or 4 years, and if it breaks, whatever no big deal…then yes get a costco spa. But the benefits of hot tub ownership, how it literally changes people lives by helping them live and feel better means you want something that is built to last, and you are going to have for 10,15 years . And if you have something that long, it is going to need service at some point, and you have to think about that. At these mom and pop spa retailers this is all we do, we live and breath this stuff. I can diagnose most issues over the phone and have you back up and running within a day or 2, COstco CANT DO THAT and WONT DO THAT. Caldera is on of the oldest brands in the world, they have been making hot tubs for 40 YEARS!!! That is all the value you need right there, BUT check on your dealer make sure they are reputable. If not go to another dealer that might sell Dimension 1, or Jacuzzi, or Marquis, or Hot Spring. To be honest the dealer matters more than the brand. THose brands above are all awesome hot tubs, from companies that have been around a LONG LONG TIME. p.s. the Marino and Vanto were my best sellers this year by far and people LOVE THEM! WE are looking at a a spa by Artesian South Seas Spas and one by Hot Springs. What are your thoughts on the Artesian? Both are very similar in components and features. Really the main visible difference between the 2 is the 5 year versus a 3 year warranty for the Artesian, but I know the stuff under thehood is more important. The Artesian is $6,500 and the Hot Springs is $8,500. Is it worth the extra $2K? I was considering big box or on-line but changed that thanks to your advice!! Also, is it worth the expense to upgrade to a salt system? Both are good brands been around a long time. Hot Springs is the biggest name in the biz and sometimes can be priced that way. So really look closely at what you are getting from each dealer as a package. Look at the the dealers reputation to make sure you will have good service after the sale. The difference in warranty tells me you are looking at a high end Hot Springs and a mid level or entry level Artesian, there are going to be MANY differences in what comes standard and whatis options between the 2. If I knew the exact models I could give you better info. My guess is the Hot Springs has more included as it is probably their Limelight Collection, where the Artesian is a mid level. Again , will come down to the layout that fits you best and the dealer who offers teh best service. Not familiar with the brand. But if your dealer has been around a long time and you trust him that is worth more in my opinion. Vitais a pretty decent brand, would be comfortable with a Vita spa from a good dealer. Master Spas is an alright brand, not one of my favorites but that is mainly because of their sales tactics. False advertising on Hot Tub Expos, that make you think you will see many different brands, and it is just them. Then they bring in pushy National Sales guys that tell you the water cleans itself and gives the rest of the industry a bad name. Product is ok, not a fan of the business practices. First time buying a hot tub and not really sure what to buy or what to look for in a tub. There seem to be many choices and each dealer tells me they have the best. I have a family of 5 with three young children. Would be used to relax and soak in. Looking for something we will still love 10 years down the road. What are your thoughts on the Marquis Vector 94? I was also looking at the Sundance Chelsee (780 series) or the Caldera Salina. The Marquis seems to have some nice features with a lower price tag. 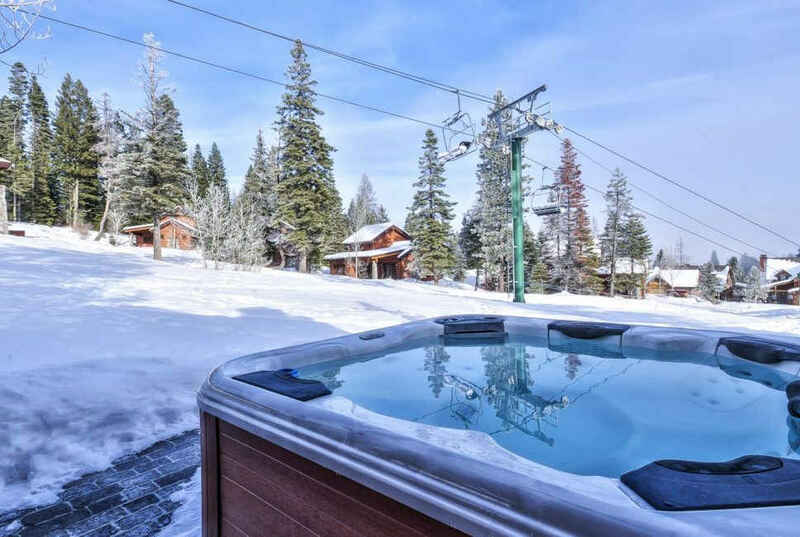 Would this hot tub be considered mid level? What are the three top things to look for when buying a tub? Thank you in advance for the time!! I love the Marquis Vector series! They have been good sellers for us. You get much more control over the jets than in the Salina, and SLIGHTLY more power. It is designed a little different than most spas where every seat has its own jet zone and air control. Now the Salina might not have as much jet versatility but it is a much more open spa, and might actually feel bigger than the V94 even though it is 4″ smaller all around. The Salina gives you 2 more years of warranty over the Marquis, and 24 hour circulation which even though it is a small edge, it is an edge over the Marquis circulation. If you go with the V94 I highly suggest getting the ozone and in-line frog upgrade. The inline Frog is standard on the Salina but is a small upgrade on the V94. The Sundance Chelsee has been one of their top spas for many years. It compares better to the Salina than the Vector. I feel this spa would FEEL the smallest out of the 3 however. I would definitely try to sit in this one dry after sitting in the Salina and see how it feels. You are looking at 3 top brands, YES the Vector is considered mid-level compared to the other 2 but still a great option. Sit in them see which one feels the most comfortable, and make you decision based on that and the reputation and comfort with the dealer. We are trying to decide between Hot springs Sycamore or hot springs Relay? Any thoughts? We like in Nd . So we need something that can handle severe cold. Thanks for any input you can give me. We’ve been looking for a hot tub that will last 10+ years as we plan to build a pavilion over it and don’t want to have to buy another for a long time. We’ve spent countless hours looking at reviews online and have visited nearly all of our local sellers. We finally found a company about an hour away from our home who is open to doing a wet test (not sure why the 5 closer to us looked at us like we were crazy when we asked for that). This dealer who is happy o let us test in store has great reviews online from happy customers. They only sell Hot Springs, caldera and Free Flow. We are going for a wet test in about a week and I was wondering what your thoughts are on buying floor models? They have a Caldera Geneva deeply discounted from the original 13k price. Warranty would begin upon delivery. Thanks! We were looking at the Coast Spas Omega? You thoughts on this brand? Seem to be a well built tub and the dealer was very knowledgeable and sincere. I sold Coast Many years ago. THey were BIG tubs and very flashy but I did have a lot of issues with them. However since then they have really cleaned up some things that were plaguing. If you are comfortable with the dealer that is most important. Sorry for the delay. Dont know the Sycamore are you sure of that name? The Relay is a well built spa and if you are not looking for too many bells and whistles it will be a good option. You have limited adjustability with the jetting, only a 2 year component and labor warranty. And it does not have 24 hour circulation. Well built solid tub, but very basic. For some that is all they need. The fibercore insulation is GREAT, should be no issues with running costs. Sunrise spa vs Marquis? Warranties are better with the Marquis. Ya the warranty will be better. COmpany has been around a lot longer. The performance I think is just much better overall. Sunrise does have some interesting molds and seating layouts though. BUt when I saw them in Atlantic City it just looking like one of the manufacturers that is more flash than substance. But with a purchase like this I think it is good to stick with a more established long term brand. But again a lot of it has to do with the dealer.